3rd ODI India vs Australia MCG: Former India captain MS Dhoni was again winnings fans with his gesture after the match-winning knock at Adelaide. 3rd ODI India vs Australia MCG: Former India captain MS Dhoni was again winnings fans with his gesture after the match-winning knock at Adelaide. Crowd favourite MS Dhoni was seen obliging and Indian family with selfies. The incident took place in the Adelaide airport while he was waiting for his flight to Melbourne for the decider. 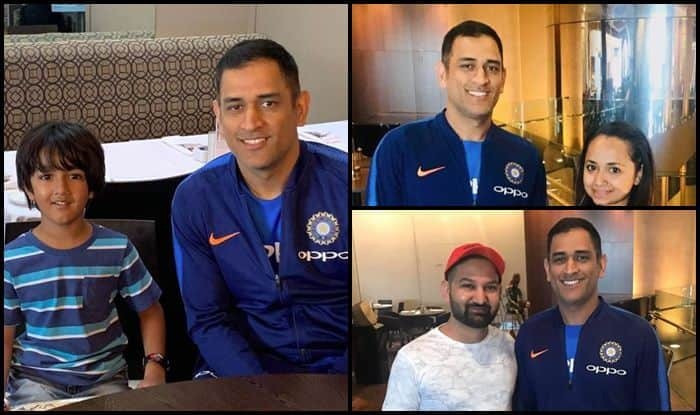 Dhoni took the effort of getting clicked with every member of the Indian family in Australia. Dhoni sure gave fans a moment to remember with his humble gesture. Earlier, Dhoni was spotted with an 87-year-old fan in Sydney ahead of the first ODI, with whom he spends time and laughed away to glory. Here are the pictures of Dhoni getting selfies clicked with this Indian family. The decider will be played in MCG on January 18.